European leaders will Friday give a financial boost to a joint African force tackling jihadists in the Sahel at an international conference in Brussels, as fresh violence highlights the region’s fraught security situation. 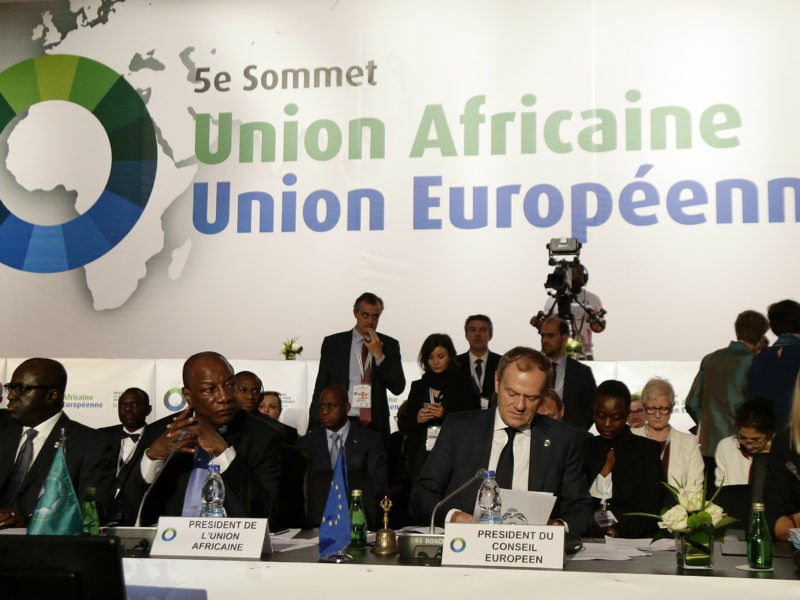 The European Union will announce €50 million for the G5 Sahel force at talks with heads of state from Burkina Faso, Chad, Mali, Mauritania and Niger, adding to around €280 million already pledged by international donors. The European Commission is hoping to drum up further funds for a joint military force tasking with combating jihadist groups in the Sahel at a funding conference in Brussels on Friday (23 February). The high-level meeting attended by French President Emmanuel Macron and German Chancellor Angela Merkel comes after two soldiers from France’s counter-terrorism force in West Africa were killed Wednesday when their vehicle struck a mine in northeastern Mali. It was the latest in a surge of attacks underscoring the challenge facing the five countries, among the poorest in the world, which are on the frontline of a war against Islamist militants. An EU official warned of a “deteriorating security situation” in Mali, with “daily attacks”. 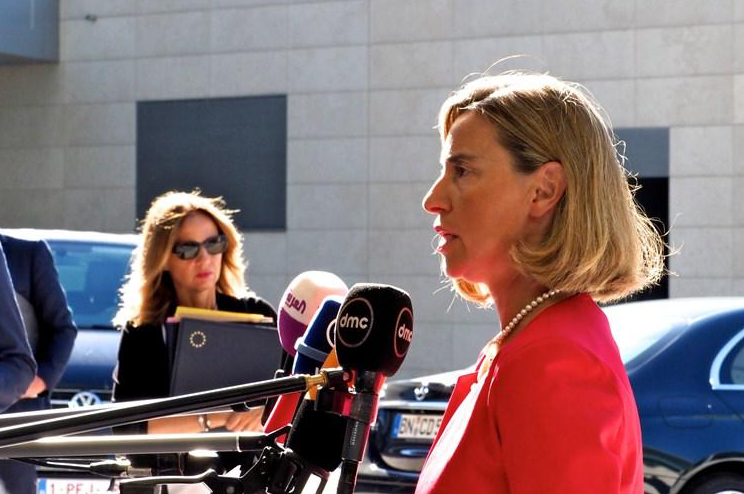 The two civilians killed in a jihadist attack on a Mali tourist resort were both working for the European Union, the bloc’s foreign affairs chief Federica Mogherini said today (19 June). The G5 force needs more funds to help it reach its target of 5,000 properly trained and equipped troops to patrol hotspots and restore authority in lawless areas. As well as fighting militants, the force also tackles smuggling and illegal immigration networks that operate in the vast, remote areas on the margins of the Sahara. The force has so far set up a headquarters and command structure and carried out two operations, with French support, in the troubled “tri-border” area where Mali, Niger and Burkina Faso meet. Intended to become fully operational in mid-2018, the G5 Sahel force operates alongside France’s 4,000 troops in the area and the UN’s 12,000-strong MINUSMA peacekeeping operation in Mali. “We expect in 2018 that we will be delivering more in terms of body armour, counter-IED material, trucks and even a hospital which will be built, we think, in Mali later this year,” an EU official said. French President Emmanuel Macron hosts Germany’s Angela Merkel and five African presidents today (13 December), hoping to bolster the fledging G5 Sahel force fighting jihadists in an area the size of Europe. Friday’s conference in Brussels aims to secure more international funding for the force. Donations so far have been led by Saudi Arabia, which has given €100 million. As well as 26 EU leaders and the United Nations, around a dozen other countries will be represented by foreign ministers including Saudi Arabia, Norway, Morocco and Tunisia. 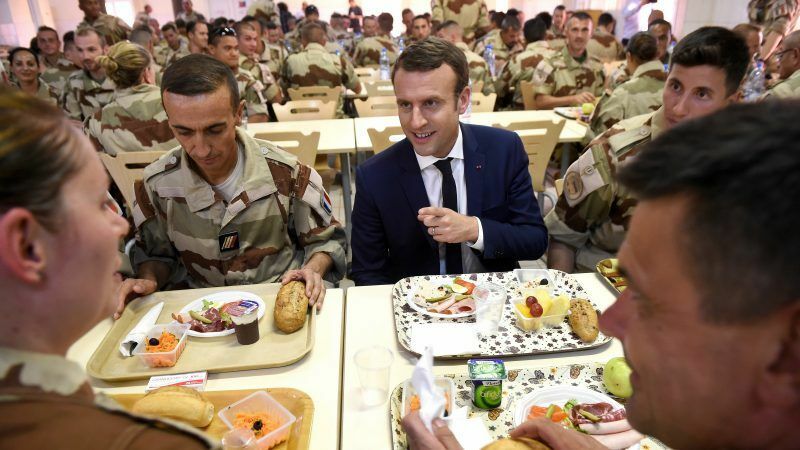 Macron’s office said the fact so many countries were attending was “proof of the collective realisation of the Sahel’s importance for the stability of Africa and also Europe”. 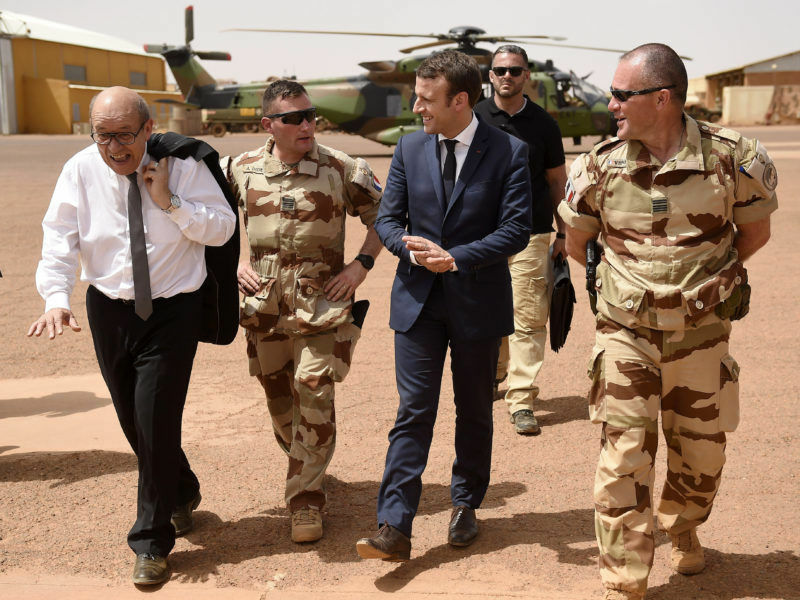 “The priority is to keep the pressure up and develop the capacities of the national armies,” a French presidential official said, stressing that the G5 force was not an “exit strategy” for Operation Barkhane, France’s anti-jihadist mission in the region. 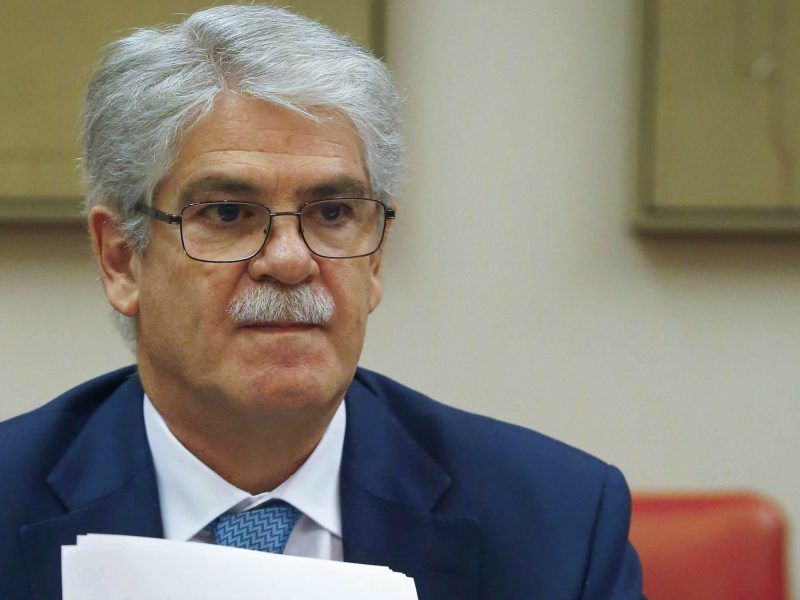 Spain is worried about security on its southern border due to the possible influx of Islamist fighters to West Africa’s Sahel region, Spain’s foreign minister told AFP in an interview yesterday (8 February). France, the former colonial power in the area, intervened militarily in Mali in 2013 to help government forces drive al-Qaeda-linked jihadists out of the north. Within two weeks the Sunni radicals were flushed out of most urban areas but they continue to mount attacks from desert bases. Violence spread from northern Mali to the centre and the south, and then spilled over into Burkina Faso and Niger. Today, as the new force is starting to take shape, experts are warning that the jihadists are becoming more sophisticated in their operations. The Sahel is a critical focus area that directly affects Europe, and above all Spain, the High Representative of the European Union for the Sahel, Spain’s Angel Losada, said in an interview with EURACTIV’s partner EFE.